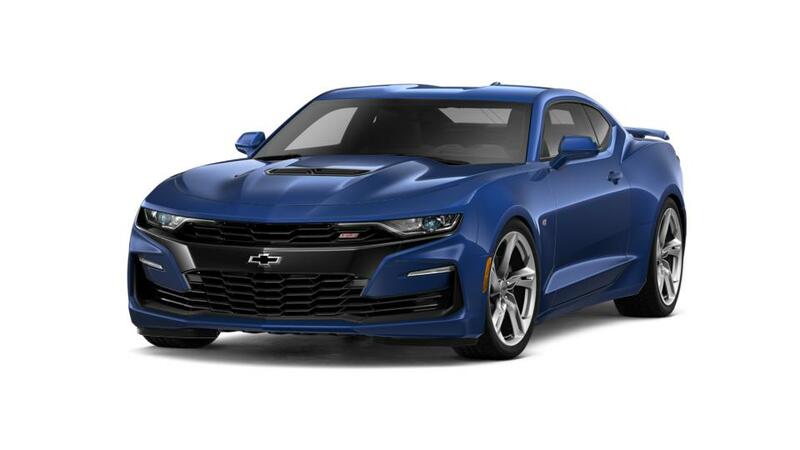 Catch the new Chevrolet Camaro at our dealership, All American Chevrolet of San Angelo, near Brady and Eldorado. The Chevrolet Camaro features an eye-catching exterior and strong, solid profile. Take your traveling experience one stage further, thanks to the Camaro's features such as head-up display, heated steering wheel, performance data recorder, and driver selector mode to focus on your driving experience. The Chevrolet Camaro's StabiliTrak® electronic stability control system with traction control enhances your vehicle's stability and provides you the required control while driving. The interior of this car is fitted with dual-zone automatic climate control, which guarantees you have a peaceful drive. Together with available active safety features, like side blind zone alert with lane change alert and rear cross traffic alert, the Chevrolet Camaro helps in avoiding any untoward mishaps while driving. See above for additional details, or contact us at (866) 873-2629 to know more about buying or leasing a new Chevrolet Camaro in San Angelo.